Caroline and Hayden are Fun In The Sun Weddings’ newest newlyweds! This bride and groom are proof that true love might be waiting for you online. Match.com can boast another happily-ever-after! That’s how Caroline and Hayden met, and the rest is history. They knew they had something special, so when Caroline had to move for Dentistry school, Hayden followed shortly behind to pursue his Masters of Education in the same state. When Hayden decided that the time was right to propose, he chose to do it in a way that would be most special for Caroline. She is very close with her family and absolutely loves Christmas, so he got down on bended knee under her grandparents old oak tree on Christmas Eve, with an antique diamond and emerald engagement ring. And obviously, she said Yes! With their family and friends spread throughout the United States, the bride and groom figured that if everyone was going to travel for their wedding, it may as well be a vacation for everyone. 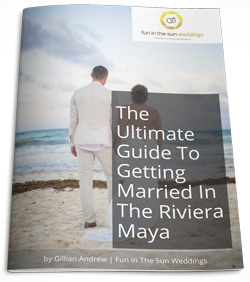 So they decided to get married in Riviera Maya, Mexico at the Royal Playa del Carmen, where everyone could relax and enjoy their time celebrating love. Envisioning a day of love, Caroline and Hayden allowed their family and friends to take center stage at their wedding. The bride decided not to have a bridal party, but instead have her two grandmothers as ‘Flower Grams’. 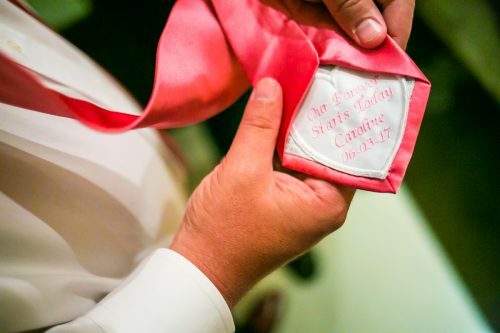 And with a special ring bearer’s pillow made by her mother, they had a ring warming ceremony where guests blessed the rings with their hopes, wishes and prayers for their relationship. Their favorite moment of the day was their first dance to Willie Nelson and Dolly Parton’s To The Moon And Back. What bits of advice does the bride offer to the bride-to-be getting married on the beach? Take a shot of tequila with your photographer! And enjoy the day and soak it up because it will be over before you know it! Caroline and Hayden, it has been a true pleasure working with you to capture such a special moment in your lives. We wish you all the wonderful things in life in this next chapter together. Congratulations! And if you are looking for the best Playa del Carmen wedding photographers for your beach wedding, then contact us today! 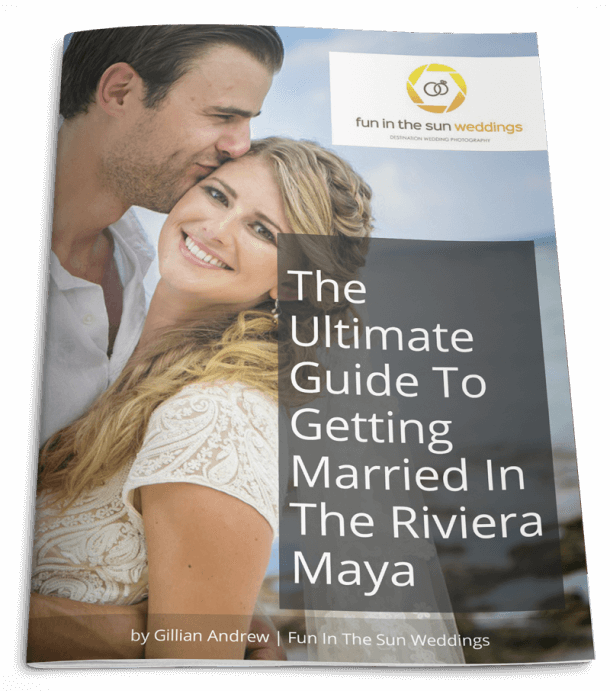 We are Fun In The Sun Weddings, the best photographers in the Riviera Maya, Mexico. Want to know more about the Royal Playa del Carmen? Read unbiased reviews on Tripadvisor here. The photos are amazing!!! I LOVE THEM SO MUCH! Thank you so much for all your hard work!